Most of the members of this intimidating group are from Barag. Hence, the name of this people comes from a bastardization of "Baraki"--meaning someone from Barag. Out of the northern wilds of Barag, from the settlements deep in the forests around Higanir and Saur, the first clan of Barrakkers gathered sometime after the end of the Age of Silence. Generally of ancient Marjoran descent, these Baraki are tough, sturdy, barrel-chested, and stolid. Seemingly slow in thought, the Barrakkers simply focus on the basic necessities of living though they often are cunning and resourceful. As a clan, the Barrakkers are no different from the northern settlements of people in Barag. However, one out of every hundred Barrakkers have developed a unique ability-to berserk. It is said that the berserker rage summoned by the Barrakkers comes from the taint of Curi blood awoken in some at the coming of the Age of Remembering. Berserker Barrakkers are said to be able to see a dim view of the future--a vision often of their own impending death--which in turn drives them into their warrior madness. Since the end of the Age of Silence, the Barrakkers have formed a loose union. All are fierce in battle and have been recruited by mercenary armies across the realm. However, few rarely survive a lengthy tour of duty. Some fear the Barrakkers for their bloodlust. Others covet their single-minded ability to defeat their foes. In the end, the Barrakkers tend to keep to their own communities protecting their own. At times, seeking experience and more often than not a good fight, Barrakkers will wander away from their homes. Steadfastly loyal, stubbornly decisive, and ruthlessly efficient, the Barrakkers fight for respect, for home, and for victory. 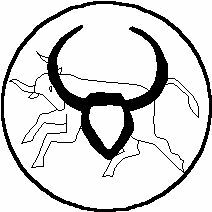 The Barrakker symbol is the bull or bull's horns. The full description of the Barrakkers can be found in the full-version of the Archaea sourcebook. Fierce and forward, the nomadic people of the Winter Wastes are simple in their ways and practical in their beliefs. 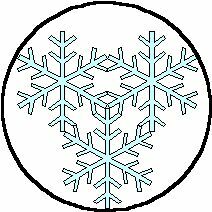 The Winterkind, also called the 'sons and daughters of the snow', are a stolid group keeping mainly to the northern parts of the Realm--preferring the cooler climates. After crossing the Landsedge Mountains into Barag and Marjor, they have found the company of Baraki and Marjoran hunters, trappers, and woodsmen to their wandering liking. Though nearly a head taller and broader than the strongest of men and women, the Winterkind are quiet and brooding, dressed in furs and leathers, and are reserved in speech and action unless given need or reason. Many have seen resemblances between the Winterkind and the Marjorans, the Baraki, and especially the Barrakkers. These sturdy people have shared some of the Ways of the Winter with the rest of the Realm. An unwritten code, the Ways of the Winter touch every aspect of Winterkind life. First, these sons and daughters of the Northern Wastes hold a strict code of hospitality; to invite or to be invited to share a meal, a fire, a tent, or a camp means to respect host, guest, and the gifts of food, warmth, and company. Second, because of the harsh life of the Wastes, the Winterkind waste no resource and especially treasure wood, metal, shelter, and family. Third, the Winterkind are honest and always speak their mind, a quality often taken as tactlessness or naiveté; but the struggle of living in the harsh cold make no room for deception or euphemism. Fourth, unlike their Barrakker kin, the Winterkind are well-tempered believing in peace and will raise no weapon against another unless duly provoked; the shedding of blood and the loss of life is considered a waste. The Winterkind use only crushing or piercing weapons (e.g. clubs, staves, spears, and daggers) for these weapons draw little or no blood. To hunt with cutting and cleaving weapons would mean to shed and waste too much blood and warmth. "Like blood on the snow," is a Winterkind saying, in fact, expressing regret over waste and loss. Finally, the Winterkind constantly move and search the Waste--and now the Realm--for a place to call home; the curiosity and nomadic nature of these people hope to lead them finally to a land where they can find lasting shelter and lasting warmth. The demanding and often desperate conditions of the Winter Wastes have granted generations of sons and daughters of the snow a unique and supernatural immunity to ice and cold. The immunity extends to a magical, almost mistical connection to the snow, to the winter, and to the Northern Wastes itself. Other the other side, the Winterkind have a deep respect for fire for its ability to cook and provide warmth. However, most Winterkind have never seen flames larger than a small campfire and are fearful of great blazes. In fact, the Winterkind have a vulnerability to fire. The Winterkind ability to create a weapon out of ice functions as per the sixth level Water spell Icy Weapon. At first, only the character can wield the created weapon. However, at eighth rank, the Winterkind can fashion the Icy Weapon to be used by anyone. The Winterkind's Turn Cold ability makes them immune to ice, frost, and cold-based attacks. Like the tenth level Plant spell Turn Wood, the Winterkind's Turn Cold prevents any object or spell made of ice from harming the character. Spells such as Frozen Tomb or Ice Strike cause no damage. Weapons enchanted with Frost Charm and even an Icy Weapon cannot touch the character. Finally, the character does not slip or lose footing on the slickest of frost. The Turn Cold immunity does not protect the character from any other Water effects. © 1992-2002 Edmond Y. Chang. All rights reserved. Email the webmaster of this site.